The Case for Healthy Places Action Pack: Download the full report, as well as a booklet and poster summarizing key findings and recommendations. Today, PPS is proud to release The Case for Healthy Places—a report of peer-reviewed research that offers evidence-based guidance, recommendations, and case studies to which health institutions, community organizations, and other partners can refer in order to create and support healthy placemaking initiatives. Produced with generous support from Kaiser Permanente and Anne T. and Robert Bass, this important study focuses on five key areas: Social Support & Interaction; Play & Active Recreation; Green & Natural Environments; Healthy Food; and Walking & Biking. The final chapter addresses health care institutions, detailing ways in which they can take action to become placemaking champions in the communities they serve. Many studies have explored how differences in the design and function of low and high-income neighborhoods contribute to health disparities. 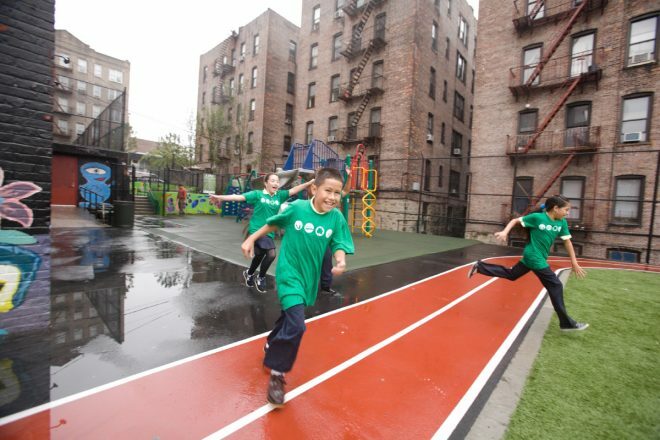 Research shows that low-income groups and racial and ethnic minorities have more limited access to well-maintained parks or safe recreational facilities, and that low-income urban neighborhoods are more likely to lack features that support walking, such as clean and well-maintained sidewalks, trees, and attractive scenery. These areas are also significantly more likely to lack access to supermarkets and places to obtain healthy, fresh food. With these inequities in mind, this timely report shows how placemaking projects can address all kinds of health disparities, while also generating a host of other positive community outcomes such as increased social capital, opportunities for civic engagement, local economic development, and improved safety and crime reduction. 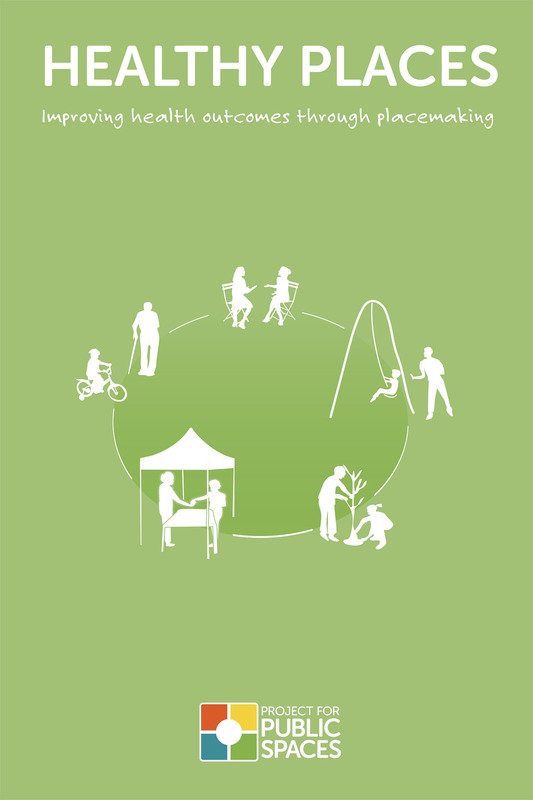 This report uses placemaking as a holistic framework for creating healthy communities. As both an overarching idea and a hands-on approach for improving a neighborhood, city, or region, placemaking is a collaborative process for reshaping the public realm—a community’s streets, parks and other public spaces—in order to maximize shared value. The exciting projects and case studies highlighted in the study run the gamut from farmers markets, community gardens, and public plazas, to efforts to make streets more amenable to pedestrians and bicyclists. The full report is available here! 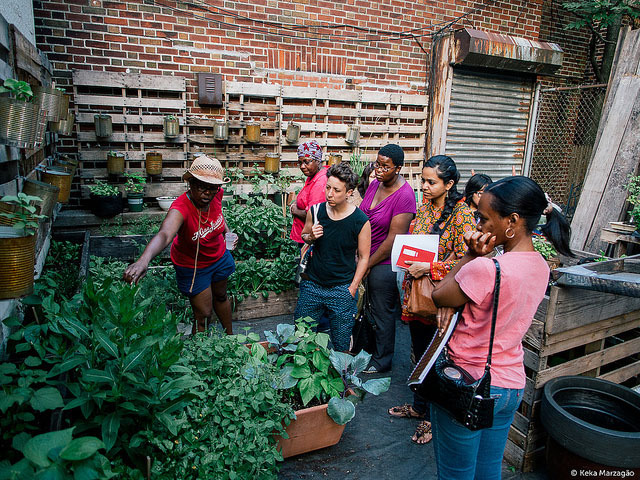 But this is just the beginning of the Healthy Placemaking movement! Please stay tuned over the next 12 months as PPS will continue to highlight the findings and recommendations embedded in this extensive study through a series of topical webinars, conferences, and strategic engagements with placemaking partners and allies.